Give it a rest! The hype surrounding AI has gotten out of hand. Well, it didn’t take long for the global marketing machine to ruin it, did it? We’re excited by AI at AndroidPIT. We keep our eyes and ears open for new tech, startups and products that integrate artificial intelligence. However, it is becoming more and more of a minefield. The reason is simple. AI has become a buzzword. It’s a label to slap on the side of a box, to talk about in a press conference, to mention in interviews. The hype train is in full flow. The bandwagon has rolled into town and everyone is jumping on it. The problem is, as journalists, we are looking to write about artificial intelligence and true machine learning in a way that gives our readers insight into future technology. We want to talk about what AI is doing now, where this is all going, and what it could become. The applications it has in various fields, both today and tomorrow. However, covering AI is becoming an increasingly frustrating experience for me personally. It’s not because I’m not excited about the technology or the applications and innovations it can bring to our daily lives, it’s all the nonsense that goes with it. We have AI in our apps and websites, AI in our smartphones and AI in our homes in the form of digital voice assistants and smart displays. We have AI in our beds and in our toothbrushes. We have AI creating art and music and literature and poetry. AI is there to entertain and inspire us. We have AI to give us medical advice when we are sick, to teach us languages and to destroy the very best of us at our own video games. We have AI to tell us what to watch and what to buy. The problem is that only some of the above is using what we would consider artificial intelligence. Some of it is just programmed queries on big data sets. Some of it isn’t even as deep as that. Artificial intelligence is, today, a multi-billion dollar game and everyone wants to be a player. 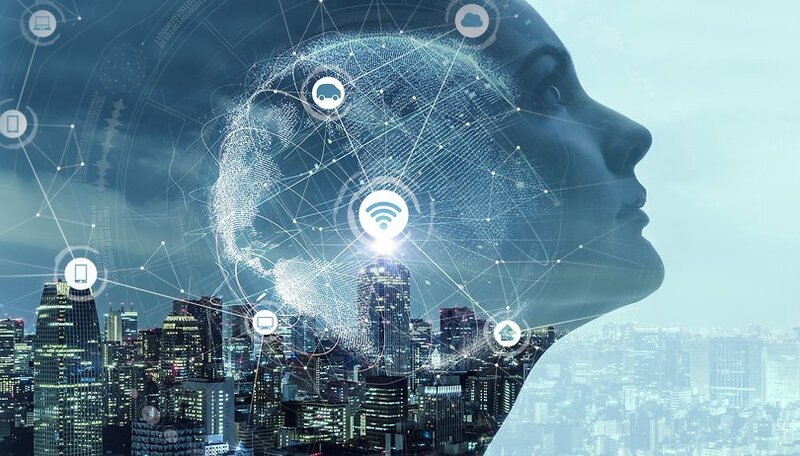 According to a recent survey by MMC, a London venture capital company, as many of 40 percent of European startups classifying themselves as AI companies don’t use artificial intelligence in a way that is “material’ to their business. David Kelnar, head of the report, told Forbes: “Companies that people assume and think are AI companies are probably not.” In other words, 40 percent of these guys are blagging it. But why? Is a buzzword really worth that much in business? Apparently so. The report also found that startups claiming to work with AI attract between 15 to 50 percent more funding compared to companies that don’t. Of course, journalists like us are also guilty of fueling the hype. We want to know what startups are doing with AI, so we ask them, and if you were the founder or CEO of a company, would you nip a misconception in the bud if it meant a 50 percent reduction in your funding potential? Artificial intelligence is a broad term. When we talk about AI we are talking about machine learning. The difference between this and an algorithm is that AI is able to perform difficult tasks more effectively over time by learning or training. Deep learning, which is a subset of machine learning, emulates the way animals’ brains learn subtle tasks. It is the closest thing to a computerized brain we’ve got. An algorithm follows a set of rules to produce the desired outcome. You can see how we cannot go on allowing marketers to label these things as the same. I fully expect AI to deliver transformative benefits to many sectors from healthcare to agriculture to manufacturing. Artificial intelligence in the automotive industry is going to transform the way we travel. It is going to change how security industries work and the way we police our societies, for better or for worse. It could also change conflicts and warfare. It will change how we learn and how we work. But let’s give it a rest with all this marketing nonsense, shall we? It’s time to drop the act and stop undermining the conversation about artificial intelligence with slogans. there is no such thing as AI. machine learning does not equate to intelligence. That brush ad, what's next? AI bathroom? AI shoes?